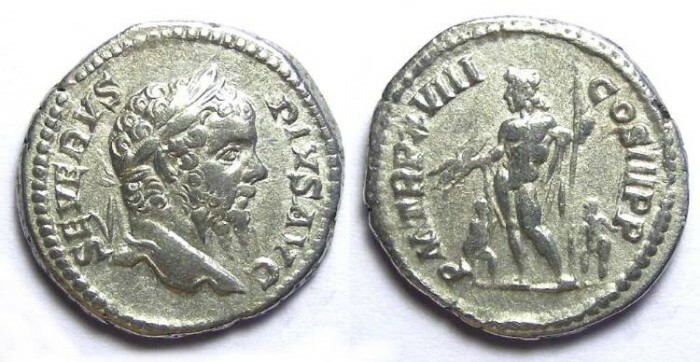 Septimius Severus, AD 193 to 211, Silver denarius. Reference : RSC-539. Sear-6345 variety (TR P XVIII rather than TR P XVII). Size : 17.8 x 18.9 mm. Weight : 3.76 grams. Reverse : Jupiter standing between two children, holding a thunderbolt and sceptre, with P M TR P XVIII COS III P P around.